You might read the title and go, “But why 8?” Because I am a writer and writers are weird. It’s our birthright, really. Or maybe it is because I cannot think of 10 ways, so make your peace with the 8 ways that I can offer you. 1. Carry your book with you all the time. This basically means having to invest in a larger handbag than the dainty little purses that you might have bought to take with you to parties. But c’mon people, are you really going to talk to people or will go straight to a corner and settle down with your book? 2. Learn to turn the pages of your book with the same hand that is holding the book! If you have take the metro to work like I have to on a daily basis, you have to be very, very optimistic to hope you’re going to get a place to settle down and read your book. My metro journey lasts for a solid 16 minutes and since I am a pretty fast reader, I decided to utilise that time to read. But since I am standing most of time, I taught myself to turn the pages of the book, with the same hand in which I’m holding it. For as you know, my other hand is too busy steadying me from falling over on my face! 3. Invest in a Kindle or a Nook Book. I am probably going to get a lot of hate for saying this but you should really buy a Kindle or a Nook Book or whatever eReader that catches your eye. 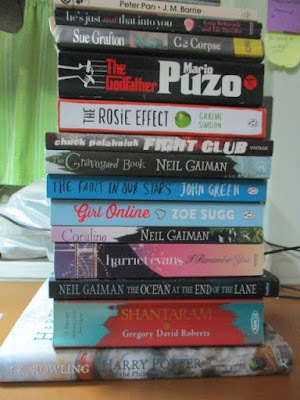 You can actually carry around more than one book in them and they’re superior convenient to bring along. I mean, if it’s acceptable to bring your laptop everywhere, why not an eReader? 4. Download Reading Apps to your Phone. But if you just have to go to a party where bringing your big handbag or your eReader is going to be frowned upon, and you cannot fit the latest paperback into it…just download a reading app to your phone. I have the Kindle App on my phone and whenever I’m bored at parties, I just sit back and read the stories on my phone. 5. Go to bed an hour early. 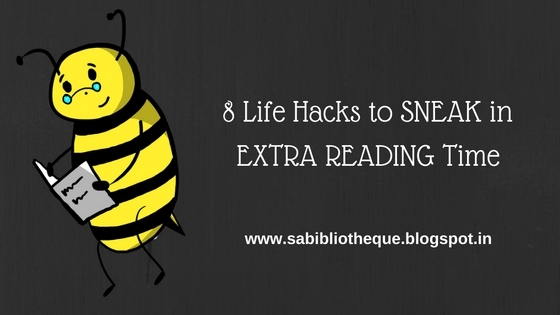 Make yourself go to bed an hour early, just this one extra hour to get some reading done. It will feel all strange and weird at first but I can promise you that it will soon feel like a normal routine if you keep at the habit. 6. Don’t go home straight after work. This might be one of my more terrible ideas but I have done it a couple of times, and it’s relaxing. Instead of going home from work take a detour and enter a quiet cafe. (One that doesn’t have teenagers talking loudly about their relationship problems, preferred.) Order a cup of coffee or tea, sit and read your book. 7. Get everything done the night before and wake up early. Don’t do this if you’re already staying up late to finish a book. But if you go to bed early, wake up early and once you get everything done – you’ll find a little time to just sneak in a chapter or two. Another way to be sure that you will get time in the morning to read is if you keep all your work ready the night before. Like, pick out your outfit, the shoes, the jewellery, make sure your lunch is packed and you bag is packed too. 8. Make your Thank God It’s Saturday night an epic reading night. Don’t keep any work for Saturday night. Instead stack up on snacks, and keep your to-be-read pile ready…and dig in. It’s a bookworm’s party…of one. excuse me, while I go and get some reading done! Also, on that note here’s a sneak peek of my Bangalore Book Loot. Picture by: ME 🙂 The Book Dragon!